Paul Ekman approached us in 2015 with a project to map the emotional science that he’s been studying for the past 60 years. 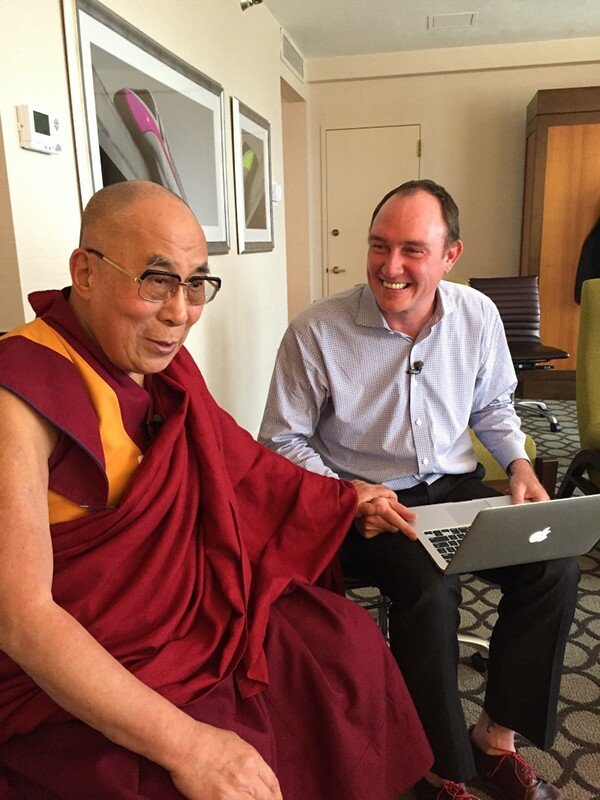 He was asked by his friend the Dalai Lama to find a firm who could help him visualize how emotions work, and he turned to us. It’s been a fascinating year, turning serious academic research on the most protean and fluid aspects of our human condition into interactive maps that explore and explain what it means to be human, from the inside out. The Five Continents of Emotion: Each emotion is represented as a continent. The movement of the continents reflects how emotions vary in strength and frequency in people’s lives. States: Each emotion contains a number of related states, which differ in intensity. The states shown here are representative, not exhaustive. Action: An emotional state may lead to actions, which can be intrinsic or intentional and constructive, destructive or ambiguous, depending on the state. Actions shown here are intrinsic, happening without conscious choice. Click on a state to explore. Triggers: Triggers automatically bring forth an emotion without consideration. Awareness of the trigger usually takes place at the end of this process, if at all. Moods: This is an example of a mood, a longer-lasting cousin of the emotion that causes the related emotion to be felt more frequently and intensely. It is not always apparent what triggers a mood. Experiencing Calm: A calm, balanced frame of mind is necessary to evaluate and understand our changing emotions. Calmness ideally is a baseline state, unlike emotions, which arise when triggered and then recede.